Browse: Home » Day 2 of Android Market’s 10 day, 10 cent apps promo! Day 2 of Android Market’s 10 day, 10 cent apps promo! And did I mention the other great news?? Each of the 10 days will have a different set of 10 cent apps! So make sure to check back each day over the next 10 days to find out what other cool apps are being offered at this great price! Which app are you looking forward to getting? Sound off in the comments section below to let us know! 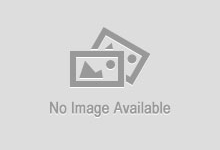 I'm a huge Android fan and also the founder of the DroidLessons website. I started obsessing about the Android platform as soon as I got my HTC EVO phone in mid-2010. Ever since then, I have been obsessed with learning all that I can about the Android OS and sharing that knowledge with my friends and family. Day 4 of Android Market’s 10 day, 10 cent apps promo! Day 5 of Android Market’s 10 day, 10 cent apps promo! Day 6 of Android Market’s 10 day, 10 cent apps promo! Day 7 of Android Market’s 10 day, 10 cent apps promo! Previous post 10 Days of Top Premium Android Apps for 10 cents each! 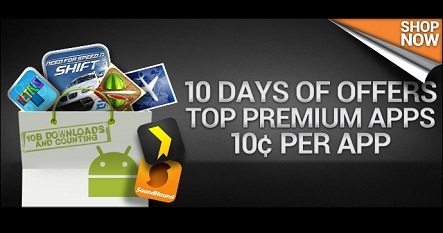 Next post Day 3 of Android Market's 10 day, 10 cent apps promo!